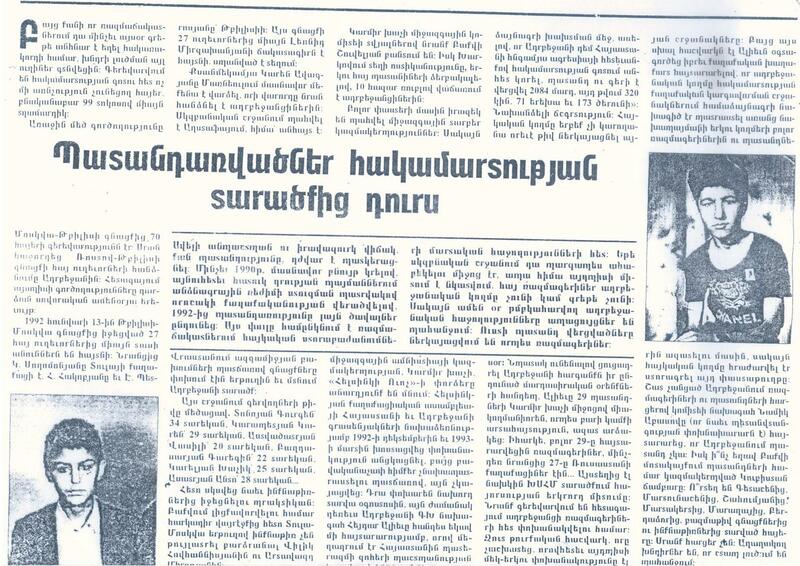 The Foundation Against the Violation of Law (FAVL) was founded in the fall of 1991 in response to the notorious “Operation Ring” campaign carried out by Soviet and Azeri forces in the border villages of Karabakh. The organization focused its initial efforts on freeing the mass number of hostages, prisoners, and refugees which resulted from this shocking breach of fundamental human rights. It went on to work with the Red Cross, United Nations, Amnesty International and Human Rights Watch to counter such large-scale abuses taking place in Karabakh. 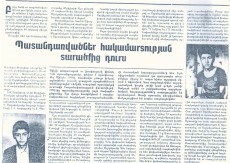 By April 14, 1992, FAVL became officially registered as an NGO and expanded its work to include facilitating prisoner exchanges between Armenia and Azerbaijan. Alongside Aramyan were founders Larisa Alaverdyan, Alexander Manasyan, and Lala Aslanyan. They worked tirelessly to free prisoners, shed light on abuse, and assist refugees flooding in from the war. They also prepared legal briefings on Karabakh’s right to self-determination, which were presented in various international forums. In its first decade of existence, FAVL worked with state authorities and other organizations to help free about 2100 hostages (including 36 children) of various ethnic origins. Over the years, FAVL has also cooperated with various organizations over regional peace building and conflict resolution efforts, mainly focused around Karabagh. 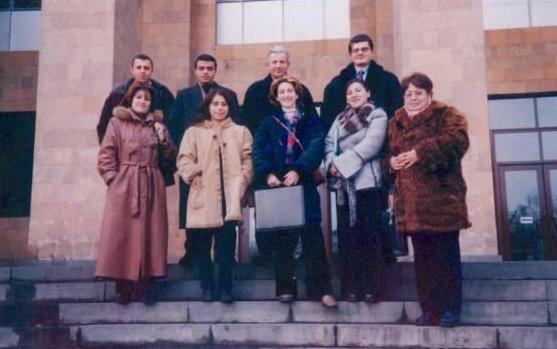 By 1995, the organization shifted beyond individual, voluntary efforts and began cementing itself as a leading champion of human rights in independent Armenia. Programs geared toward protecting the rights of refugees and facilitating their integration into society picked up steam, as did the organization of local self-help groups and advocacy campaigns. As such, FAVL continues to proudly carry forward its founding mission of promoting and protecting fundamental human rights.